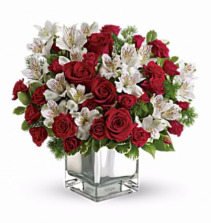 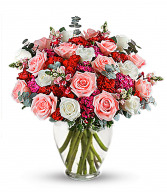 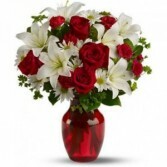 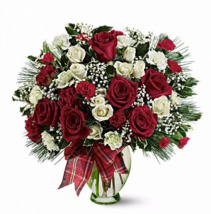 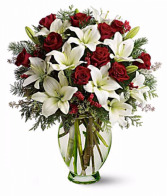 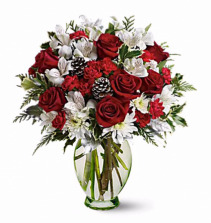 If you're going to a holiday party, thank your hostess or host ahead of time by sending this enchanting bouquet in a stunning glass vase. You'll be assured of a warm welcome - and maybe a return invitation. 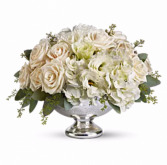 A classic holiday centerpiece shines in our signature Silver Bowl. 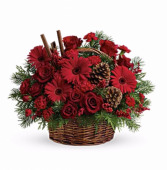 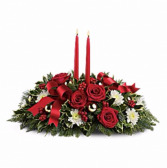 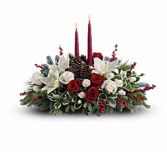 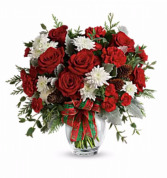 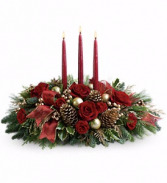 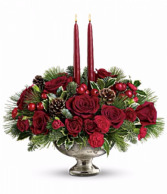 Festive Christmas greens, red berries and holly mix with red roses and pinecones below glowing red candles for a stunning centerpiece worthy of your celebration. 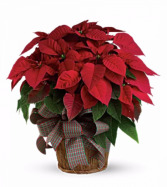 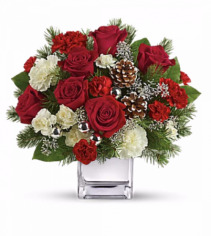 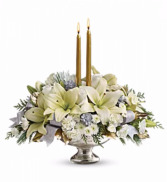 Celebrate the season with this majestic centerpiece of sparkling silver and glamorous gold. 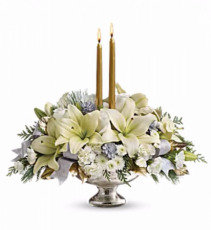 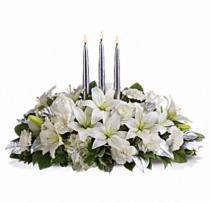 Bright white lilies and winter greens arranged in a shimmering Silver bowl will cast a lovely light on any holiday table. 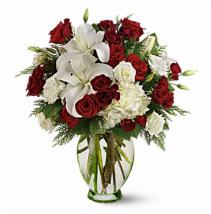 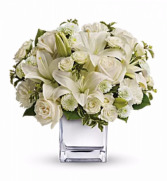 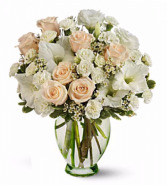 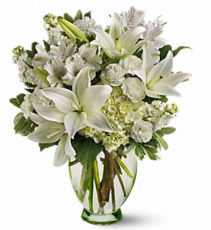 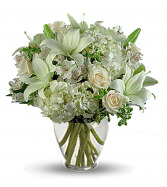 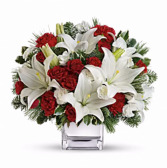 Perfect for Christmas or Hanukkah, this exquisite all-white bouquet in a dazzling clear cube may be petite, but it will make a huge impression.